This system is designed for development of DSP audio processing algorithms. PE532 is a hardware platform for development of audio signal processing algorithms and devices employing Digital Signal Processor (DSP). The in-system programming interface allows PE532 to be used as a programmer for external flash program memory devices. This feature allows the user to easily transfer programs from development system to the actual device. DSP: Analog Devices Blackfin ADSP-BF532 Digital Signal Processor. Serial and parallel DSP interface. 4-megabit removable external parallel flash memory. 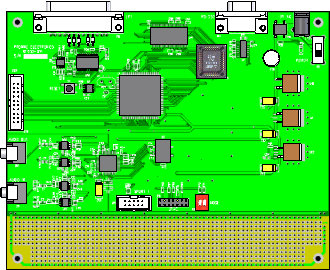 1-megabit external SPI (serial) flash memory. 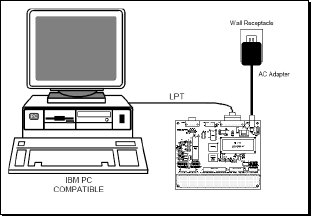 LPT (PC Parallel Port) programming interface.